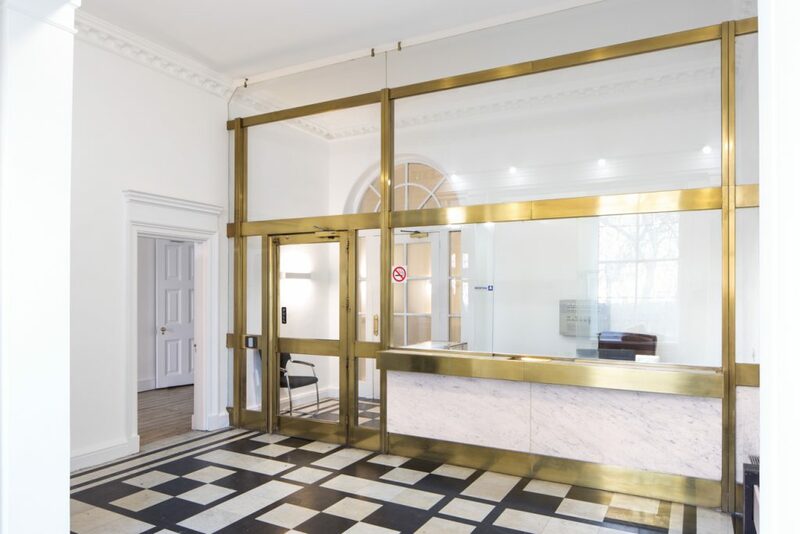 Once the Indonesian Embassy, Thirty Eight Grosvenor Square is ripe for filming; period T.V and film-makers, advertorial, fashion and lifestyle shoots. Past the building’s white-stucco frontage, producers find a grand spiral staircase with patterned iron balustrade that will make an inspiring hero-image for lifestyle magazines. 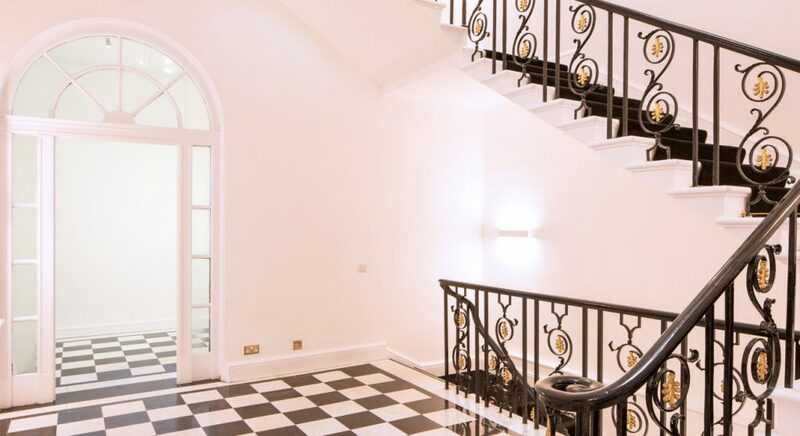 The monochromatic tiling in the reception hallway offers a chic edge, ideal for stylish filming or fashion shoots. 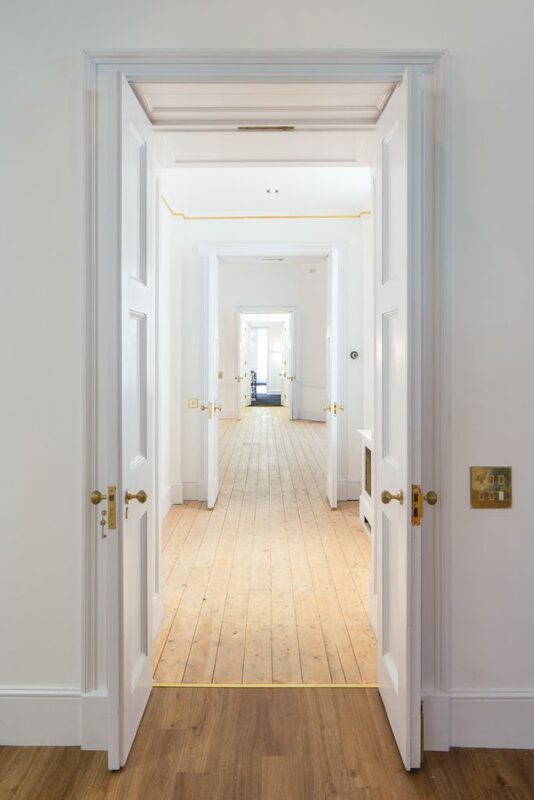 The four light-filled rooms upstairs remain with authentic interior features; a perfect backdrop for contemporary and period dramas, art-history documentaries, advertorial and fashion-focused filming. Stucco panels including classical imagery such as the Roman god of wine, Bacchus and ceiling paintings with icons including Juno and Jupiter. 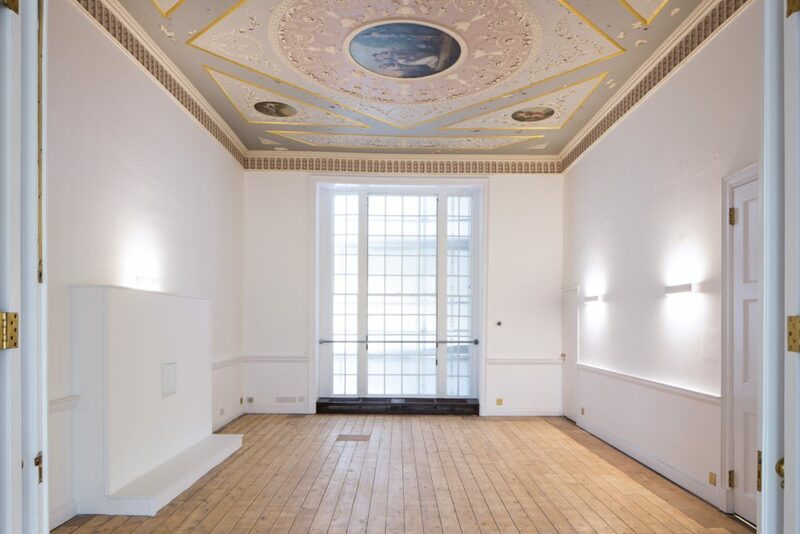 Overlooking the greenery of Grosvenor Square, the high-ceilinged space offers natural-light for filming and has ample room for equipment and crew. Remaining Embassy features such as a Visa desk in the basement is ideal for police, airport and administrative shoots. A front desk at the building’s entrance seamlessly transforms into a porter’s reception for hotel, office or apartment scenes. The rear of the building houses disused office space and long narrow corridors bear a Lynchian sense of surreal suspense, ideal for atmospheric fashion shoots. With its characterful fittings and heightened drama, this stunning Grade II listed building is a memorable location that provides countless different backdrops.